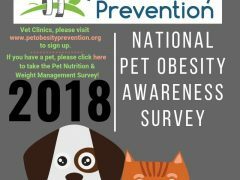 Take the 2018 Pet Obesity Survey, answer easy questions about pet obesity and nutrition and enter to win prizes from the Association for Pet Obesity Prevention. Don’t wait for your vet to give The Talk. 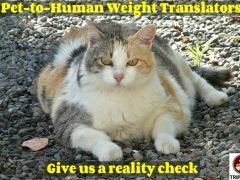 These Pet-to-Human Weight Translators associate a pet’s weight with our own love handles. 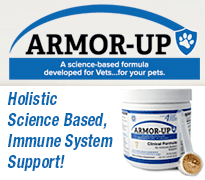 Don’t let your overweight Tripawd suffer from too many pounds. 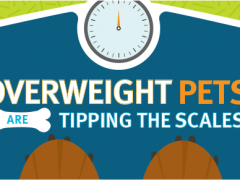 Here’s how to tell if your Tripawd dog or cat needs to lose weight, and what to do about it. 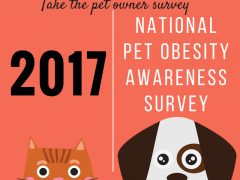 Time for Tripawd pet parents to take the 2017 Pet Obesity Survey by Dr. Ernie Ward and the Association for Pet Obesity Prevention. Obese pet report shows one in three dogs and cats are overweight. 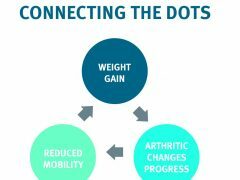 Here’s what we can do to help them lose pounds and enjoy better quality of life. 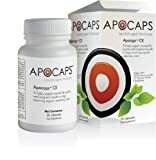 Weight Loss With a High Protein Raw Diet? 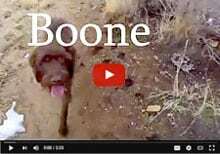 Ask Wyatt! 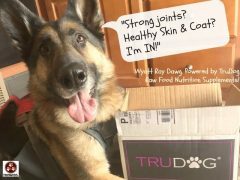 TruDog raw freeze dried dog food helps your Tripawd enjoy weight loss with a high protein raw diet and premium dog joint supplements and more. 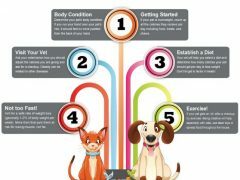 Is your dog or cat overweight? 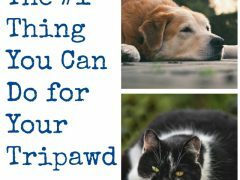 If so, Tripawd’s Best Weight Loss Tips for Tripawd Cats and Dogs is a great resource to learn how to help them drop the pounds. 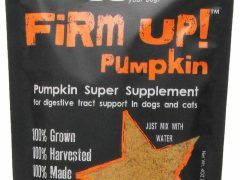 Learn how pumpkin pulp for cats and dogs helps with diarrhea, digestion, weight loss and staying healthy. 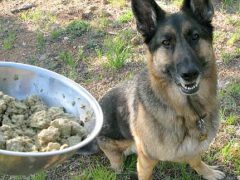 Dehydrated pumpkin pulp is an easy way to include it in your pet’s diet.